We’ve all been here before. You have a good amount of visitors to your website, but these visitors aren’t really converting into customers. There’s a good amount of potential, but it hasn’t fully been seen yet. The Conversion Rate is the number of visitors to your website that completes the desired goal (in case of ecommerce a purchase) compared to the total numbers of visitors. As you can understand it is important to get these visitors to convert as they could be future promoters and endorsers of your company and your brand! In this article, we will show you 5 cool hacks that’ll increase your conversion rate. If you want to learn more about Statistics and Trend to ensure success in 2020’s download our free guide. As you understood the conversion rate is a fundamental metric for any ecommerce owner. It is, in fact, the most important KPI (Key Performance Indicator) of the goodness of your marketing strategy and, after all, of the goodness of your work. If you leverage countdown clock on your website, you’ll notice that you’ll get more conversions. According to our research, we noticed 11% increase in conversions, just from that one little tweak. 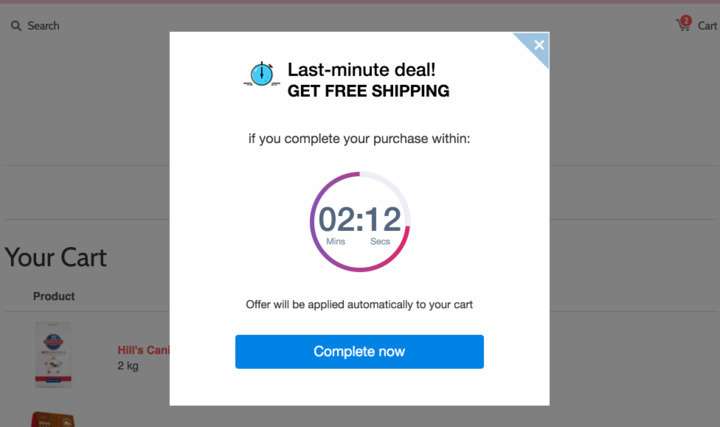 You can see in the example above that there is a clock that will prevent the customer from buying if they wait too long. This helps improve conversion rate by letting customers know that they can’t get those tickets if they wait too long. Exit-intent popups are the secret weapon that all the best marketers use to dramatically increase their conversion rates. In fact exit-intent technology allows you to make an extreme effort to convert visitors as they leave your site. Detecting when a visitor is about to move away, exit-intent tecnology is able to get the visitor attention with a final message (in a lightbox overlay) at that crucial moment. Unlike the immediate popups, which interrupt the visitor as they try to explore your site, exit pop-ups are not a nuisance. Regardless of how you feel about pop-ups in general, the data shows that output pop-ups work really well. When you implement an exit-intent popup on your site, you can recover 10-15% of lost visitors. If you do not use exit pop-ups yet, there’s a lot of money left on the table. 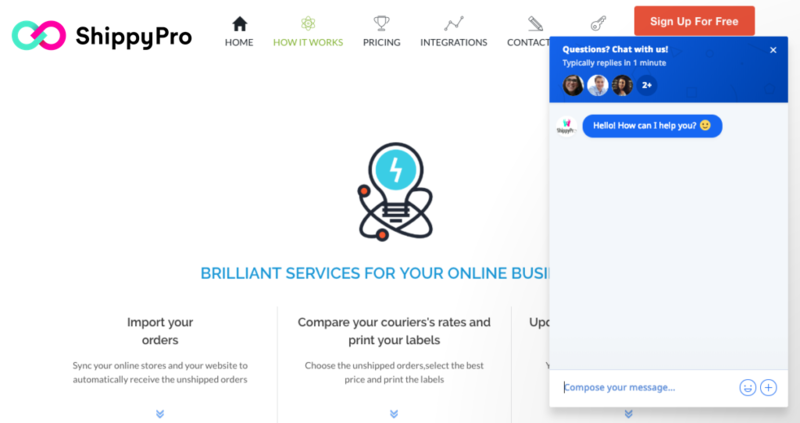 As you can see in the graphic above, once the total is displayed for the customer, there is a LiveChat available for the customer if they have any questions. The customer becomes more likely to convert because it makes the customer feel good about their purchase. No matter what product or service you have, you’ll notice that some people are gonna buy. For all the people that aren’t going to buy, which is the majority, offer them one last ditch effort to convert them. Basically, there are 2 ways to do that. The first is to offer all the functions of your product for a limited time. 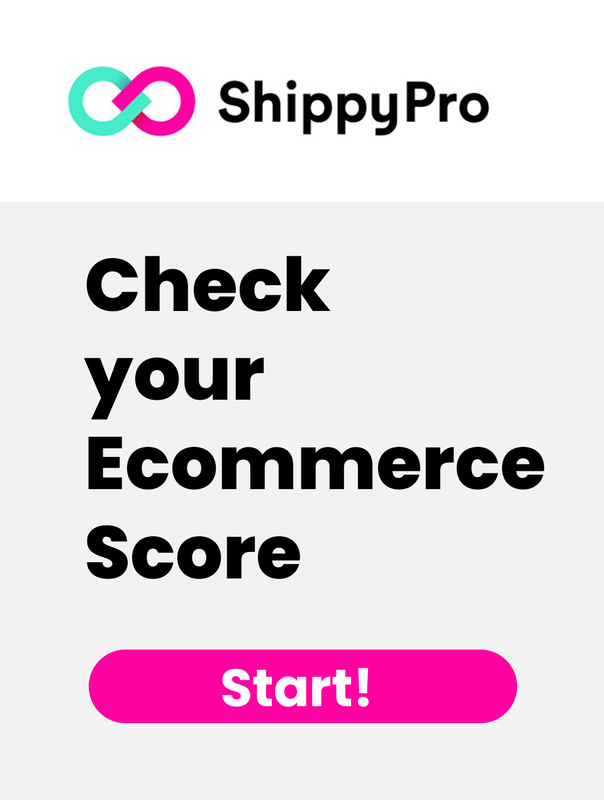 For example, ShippyPro is free below 30 orders per month. The second is to offer just a basic set of functions of your product without time limits (Freemium). 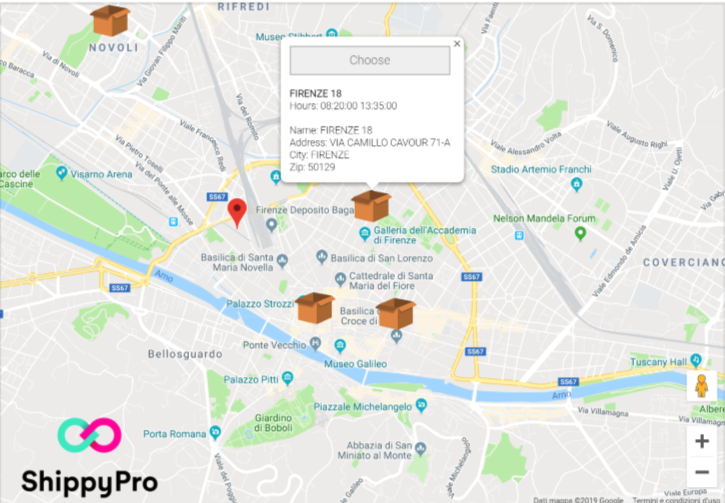 In this case if people are interested in your product they will probably want to use all your Premium functions or offering a limited set of functions. This way, it is a low-risk, high-reward conversion for more customers to hopefully stick with your product. The fourth strategy you can adopt, is to make your webpage more personalized. You can do this through geo-targeting. Why not personalize your web page and include the person’s city within your copy? 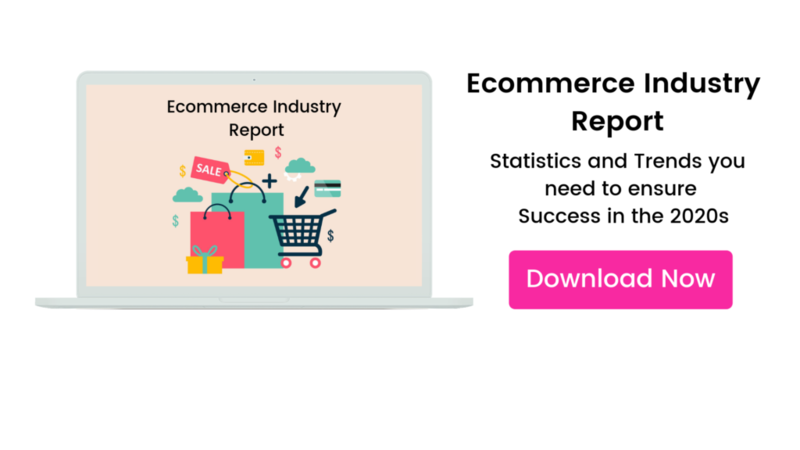 If you have an ecommerce you know that the Check-Out phase is essential for your sales. So why not offer a tailor-made service based on your client’s City? According to our studies, in fact, 75% of users consider the offer of several delivery options to be important during the purchase phase. 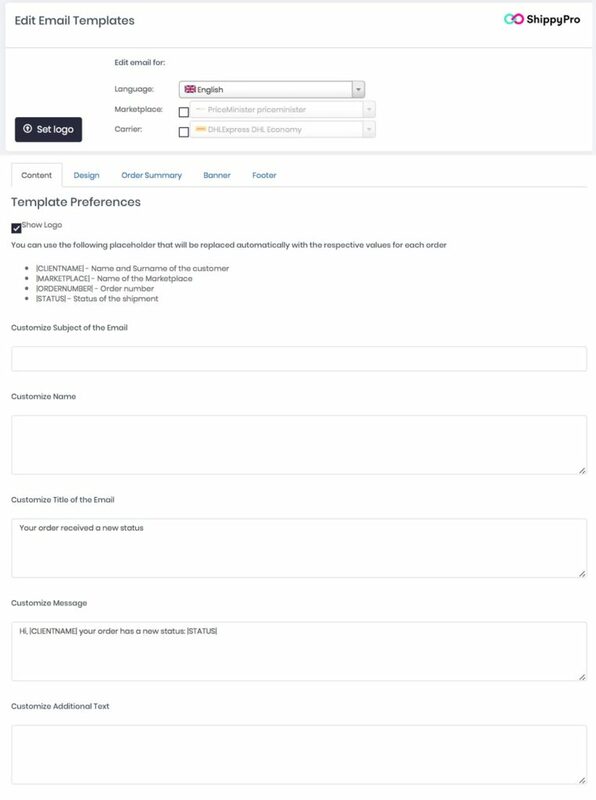 With a Checkout form that displays the most convenient collection points for your customer, you can increase the conversion rate at checkout by 96%. Personalize your Webpage by showing your clients the collection points near them. Every day in the e-commerce industry, 269 billion emails are sent to 3.7 billion email users worldwide. Consumers are flooded with information from companies, coworkers, and friends. It can be easy to underestimate the value of business to consumer emails. 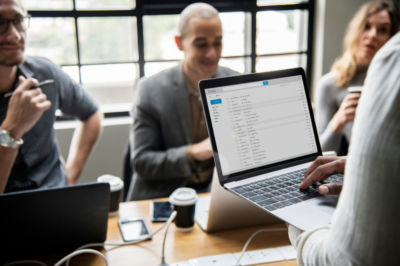 There is a big benefit to a well-constructed order confirmation email, especially if it leads to higher rates of customer satisfaction and retention. An order confirmation email is a representation of your company, so be sure to design it that way. Tracking emails with plain text and no images could be mistaken for spam so be sure to include your logo and brand colors. Customize your email to show who you are as a company. While images are essential to assuring your credibility, be aware that videos and GIFs may slow down the load time for your customers. Order confirmation emails influence the customer’s perception of your company, so use them as a tool to represent your brand. So, if you leverage these seven tactics, you will start generating more conversions and sales using unorthodox strategies. That’s it! By following these 5 steps, you can quickly convert your potential customers into real ones. Using personalized messages, web layouts, and creating senses of urgency and low risk options can help you grow your business, conversion rate, and turn visitors into customers.